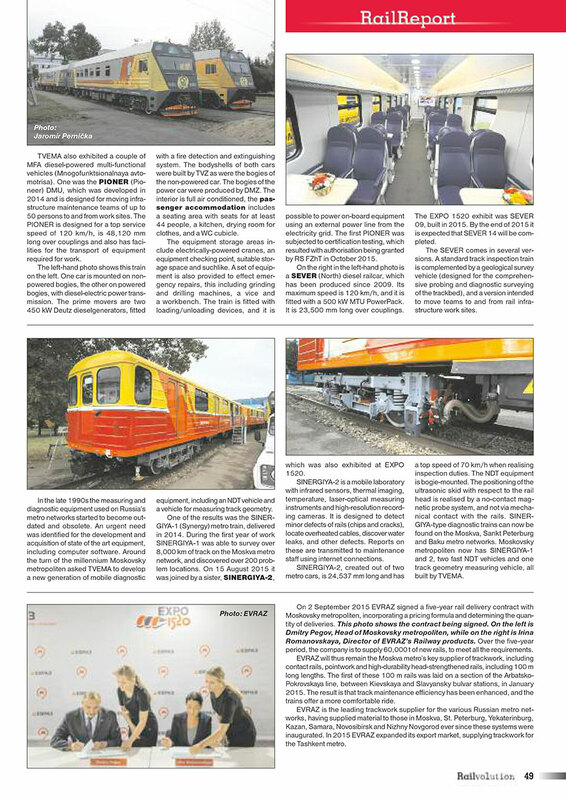 Moskva-based TVEMA is a leading producer of rail infrastructure inspection vehicles, road/rail vehicles, portable diagnostic equipment, software, diagnostic vehicles and suchlike. At EXPO 1520 it exhibited several products with which visitors would already be familiar, together with the new SPRINTER. 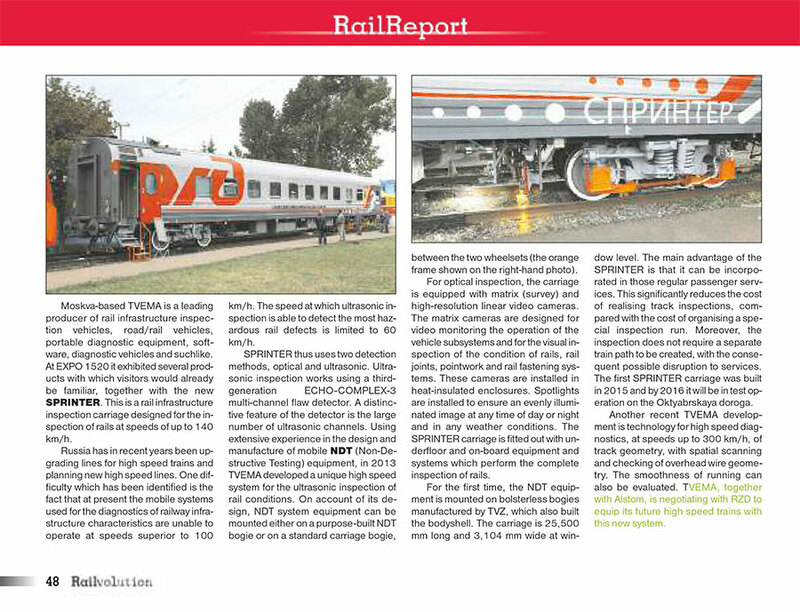 This is a rail infrastructure inspection carriage designed for the inspection of rails at speeds of up to 140 km/h.